Netflix has announced that they will be diving deeper and deeper into the anime industry. Last year we have seen Devilman Crybaby and now we are expecting even more. Netflix is aiming to get a bigger audience. And with that their next big project is B The Beginning. The anime was originally scheduled for 2017 under the name of Perfect Bones. 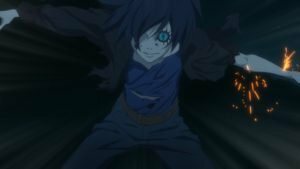 Directed by Kazuto Nakazawa, B The Beginning is Netflix’s first original anime project. Projection IG is co-operating on producing the anime. At first glimpse, it just honestly looks like any other anime. The art itself has not caught my eye unlike in Devilman Crybaby. At the start of the trailer, we see a crazy killing an innocent woman. Afterwards, we see a woman reading Killer Bee carved into a tree. Next up we got some police force investigating the crime. In a glimpse at 0:16 we see the girl from the first scene. From what little Japanese I can understand it would seem that the police thinks it was done by Killer Bee. But as we thought that it was him, it would seem that one of three main characters shows up. Keith Flick with the words “This is not Killer Bees doing”. Again this is from the little Japanese I can understand. So if I’m wrong don’t hesitate to correct me. After that, we get a glimpse of the 2nd main character Koku. For now, all points lead to him being the Killer Bee. We see him walking on a roof saying “I will definitely find you”. If I’m not wrong in the first trailer he said something like I’m here or I’m waiting. Something is wrong in this town. The line said by the third main character Lilly Hoshino as we see some weird gas job going on. Let’s assume that all the characters are connected from what we’ve seen in the trailer. My only logical assumption could be that Koku is Killer Bee and for some reason, he is searching for Lilly. Keith seems to me like he is Lilly’s father, at certain moments later in the trailer we see him protecting a girl like Lilly. We also hear him tell her not to get herself involved. Which she obviously declines. If she declined it could it be that she wants to meet with Koku as much as he wants to meet with her? Also after the gas part, we saw a funeral and a glimpse of a woman. We could assume it was Lilly’s mother. 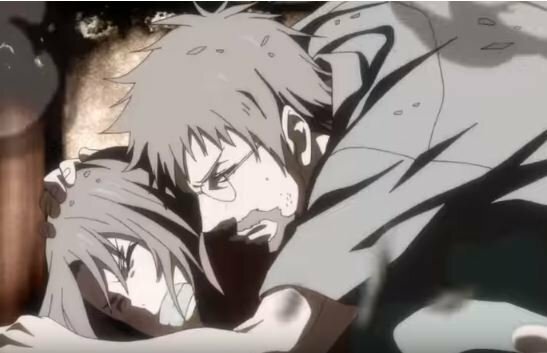 Due to the death of Lilly’s mother her father, Koku eagerly tries to protect her. Now, I don’t know the details, no one does yet, unfortunately. But for some reason, it would seem that Keith does not want Lilly to associate with Killer Bee. Could it be because he is a serial killer? Or maybe something to do with his past. I would not know. What could the story setting be? The anime and the story look promising. For some reason, Koku is targeted by the police, while someone else impersonates him. He might love the daughter of the guy that wants him dead. And the girl might like/love him back. So we got Romeo and Juliet. Oh, wait, excuse me. I mean, we got Koku and Lilly, fighting to meet. While being driven away because of various reasons. Another thing that I noticed is that there are others like Koku in the trailer. So is there a divided class of humans, one is the “good” guy while the rest are the “bad” guys. And whom does Koku belong to? Because we can clearly see him getting in a fight with one of his own. There are many things we are yet to discover about this anime. And while it may have a Romeo x Juliet vibe with a totally original concept. 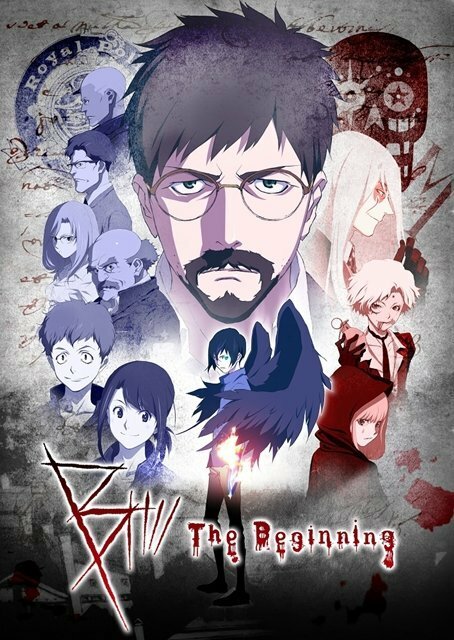 B The Beginning still brings in a lot of curiosity for me and I will definitely watch it. If perhaps there are not two sides then perhaps there are some power users like in all other anime. We shall wait and see. I hope you are as hyped as I am for this anime. If you have a theory for what it might be like you may leave a comment down below, I’ll make sure to reply to you and check it out. If you liked reading this you might find out this article about Blossom Detective Holmes interesting. 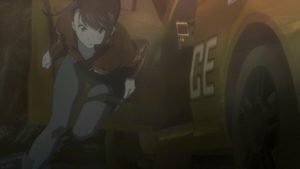 It is a kick-starter anime project definitely worth checking out. This looks really good at first glance, just the type of thing i’m so hooked up to lately. Damn, so interesting, this is totally my type and would love to watch it. Hmm, it looks worth watching, but only after actually viewing it can I give a real opinion. 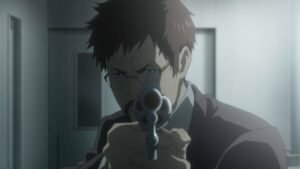 I feel Netlix have put a good foot forward with the likes of Castlevania, but depending on how this does economically wise they might increase or decrease interest in their anime project.